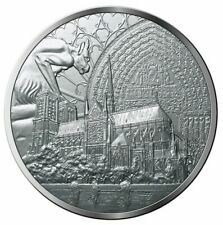 MONNAIE DE PARIS 2019. The obverse represents the south facade of the Cathedral. ° Official Product of the Monnaie de PARIS. For abroard . 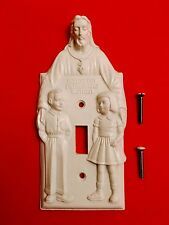 Let Jesus light your way with this cast resin 3D sculpted light switch cover with "Honor Thy Father and Mother" embossed on the plate. This Fabric print real size a closeup of the face from the relic, The Shroud of Turin. Shroud of Turin Face of Jesus. This Fabric is reproduction printed by photographic that take form The Shroud of Turin which show in public in 2013. 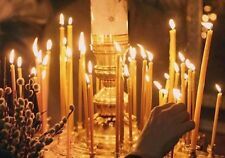 Candles Russian Orthodox Church. The total weight of 100 candles: 330 grams. Material: wax. 1 lot - 100 pieces. Bead Size : 6mm. Necklace Length:70cm 13cm. Jesus Crucifix Saints Cross Necklace Rosary Beads Necklace. These rosary beadsare the most beautiful beads,excellent for your personal use or can be a great present for your loved ones. 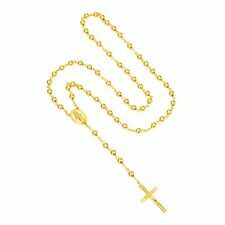 1 x Rosary Necklace. The Cross with " the Byzantine Eagle ". Russian Crosswith movable upper part of. Hand cast from a bullion banking of bronze and polished individually. This is a beautiful copy in old style ! Size - 52 mm x 30 mm. Due to hand-made products, it is normal that there may be tailor's chalk line left on the chasuble. The chalk line will be gone! The Longest part: about 130cm (exclude the collar part). Material: Cotton Blend. If cables, accessories or anything else isn't pictured then there not included. This Matte Gold Ark Of Covenant with Contents sculptural box is made of high quality polyresin, hand painted and polished individually. Color tone may vary from pictures. 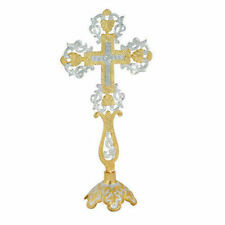 This is a religious reproduction of the Ark beautifully made with resin, hand painted in Matte Gold finish. W e are available for your service 24/7, every inquiry get answer. Film Raiders of the Lost Arkcenters on Hitler's predilection toward religious artifacts — but his obsession with this particular item isn't fictional. This is a 1:1 scale replica of the Legendary Spear of Destiny (also known as the Holy Lance). 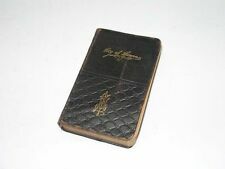 Contains an actual fold-out miniature prayer book. Size: Approx. Condition: Good pre-loved, with just light wear from use, as per scans. Weight: 2 grams in total. Blessed in 3 churches Bethlehem & Jerusalem as u can see. The rich symbolism attached to olive wood due to its ancient presence in the Holy Land and its special appearance in Our Lord's life at Gethsemane certainly accounts to great extent for our preference. This is an authentic high quality real olive wood Rosary, with Jerusalem soil inside, hand made in Bethlehem, and blessed in the holy sepulchre church of Jerusalem. 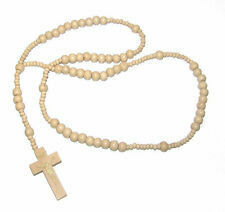 Rosary size: 45 cm. SIZE: 5.9in (wide) x10in (high). Home Blessing Kit Bottles & Cross From Holy Land Jerusalem. From Holy Land Jerusalem. 1 Holy incense from jerusalem. 1 H oly soil from jerusalem. 1 Holy water from the jordan river. kit size: 14x8 cm. 1 Olive wooden cross. cross size: 8x5 cm. How long it will take to get my order?. A fantastic set of three antique handcarved wood figures probably depicting three of the four seasons and probably part of an altar. All figures are extremely fine carved and dating to the early 18th century. Origin: probably Southern Germanyy Age: 2nd half 17th century / 1st half 18th century Max. height figure: ca.9,1 cm / 3.6" Total eight: ca. 14,2 cm / 5.6" Max. width: ca. 11,8 cm / 4.6" Weight: ca. 196 gr Condition: very good antique condition with some minor chips to the wood, the vintage gold leaf is nearly complete worn off, the three figures are delivered with a black laquered steel socle which we made for display. SUPERB SET of 6 ANTIQUE DUTCH DELFT BIBLICAL TILES. Tiles : 5 1/8 " x 5 1/8 " ( 13 cm x 13 cm ). Good antique condition. ANTIQUE FRENCH GILDED METAL ‘ DOVE OF PEACE ‘ WALL HANGING. 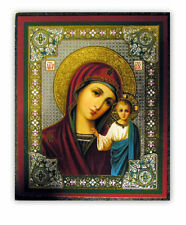 We also include a"Prayer To Saint Benedict" Holy Card as a free gift to you. The card has a picture of Saint Benedict on the front and the prayer to Saint Benedict on the back. In the back is a poisoned cup, in reference to the legend of Benedict, which explains that hostile monks attempted to poison him: the cup containing poisoned wine shattered when the saint made the sign of the cross over it (and a raven carried away a poisoned loaf of bread). He was sent to the College des Bons Enfants, where he pursued higher studies and, on July 10, 1669, he took the degree of Master of Arts. When De La Salle had completed his classical, literary, and philosophical courses, he was sent to. Frankincense,Myrrh, Spikenard. Pure virgin olive anointing oil scented. from the Holy Land. on line communication. At reverse side is SAINT JOSEPH with INFANT JESUS. MATERIAL : BRONZE. TO THE CHRIST OF LEZO (Spain).
" MONTMARTRE " (Paris - France). HIGH RELIEF PORTRAIT OF HOLY JESUS WITH THE SACRED HEART. " PENITENT & DEVOTIONAL FRANCE TO THE SACRED HEART OF JESUS ". at reverse side is in French . Contains 1.3 ounces of. 925 sterling silver. CROWNED MIRACULOUS VIRGIN WITH CHILD JESUS ON HER LAP. 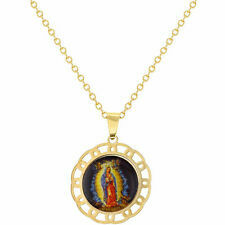 & at reverse side is THE SACRED HEART OF JESUS. THE SACRED HEARTS OF JESUS AND MARY. at reverse side BEAUTIFUL DECORS OF. READY TO FIGHT WITH THE SWORD ON HIS HAND. Saint Pope Paul VI sigend letters Giovanni Battista Enrico Antonio Maria Montini -. "Segreteria die Stato di Sua Santita" Pius XII 1947. On reverse side is the " NDL ". MARIAN MONOGRAM TO OUR LADY OF LOURDES. 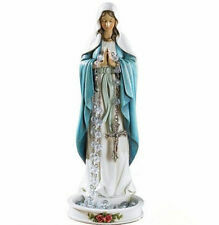 THE APPARITION OF OUR LADY OF LOURDES. SILVER (hallmarked). MATERIAL : SILVER.